store reward programs | Live Cheap, Feel Rich! I’ve already told you all how much I love CVS so this story totally touches me – so cute! This girl loves CVS so much that she got a CVS themed birthday party! I love CVS even more knowing that when CVS headquarters heard about Iris’ party, they sent this family snacks, favors, and party supplies. We need Iris on our LCFR team, she clearly loves a good deal! If you’re anything like me, you know that every year, Chipotle offers awesome discounts for coming in costume, but each year, the rules are a little different. I’m here to clue you in to how this year’s BOOrito is going to work! As we learned from Chipotle’s Friend or Faux promotion, the chain is vehemently against unnecessary additives in their food, and are doing all that they can to show just how unimportant they are to your meals. To further promote this concept, this Halloween, from 5pm-close, Chipotle asks you to spook them by adding something unnecessary to your costume to score a $3 burrito! In this super fun video titled “Unneces-scary”, you can enter the nightmare of one Chipotle customer who discovers what Chipotle would be like if they served processed fast food rather than cooking by hand. Looking for some inspiration? Check out our article feature image to get a feel for some unnecessary costume additions! Enjoy! This free sample borderline made me get in my car immediately. Our family LOVES Bonefish Grill – it’s the perfect place for the family that’s not a junky chain and pleases everyone. Don’t be put off by the name – this is not seafood only, plenty of options for everyone. I am so shocked by this awesome offer that I had to share! Bonefish is inviting it’s customers to celebrate summer with them with a FREE $10 gift card. No need to sign up, register, do ANYTHING, they’re just giving you $10. You can simply print or take a screenshot of the coupon and bring it into the restaurant, show your server, and enjoy. The offer is only valid through August 24th, so hurry with this one! Tell you what – nothing makes me more ready for fall than pumpkin ANYTHING. I am a total sucker for the entire pumpkin marketing scheme and this post proves it. According to mediapost.com, Dunkin’ Donuts jumped on the pumpkin trend pretty early on with products like pumpkin spice donuts + pumpkin muffins in 2003. Over the years, they’ve come to incorporate pumpkin iced coffee, hot coffee, lattes, donuts, Munchkins donut holes, muffins, k-cups, and even packaged coffees. Seems they have pretty much pumpkin’d about everything, so they’re stepping up their game with this years marketing scheme! This week, Dunkin’ Donuts is hosting “Pumpkin Peeks” where the first 500 guests to 6 strategic locations (original restaurant in Quincy, Massachusetts, units in Santa Monica and Culver City, CA to commemorate their 1-year anniversary in California, and 3 top pumpkin ordered chains, Biddeford, Maine, Norwich, Connecticut, and Hyde Park, NY) will be offered a FREE hot or iced pumpkin coffee, along with other pumpkin-themed giveaways. If you live close to ANY of these areas, get to your local Dunkin’ Donuts and capitalize on this! In addition to this, and especially if you aren’t in one of these areas, Dunkin’ is running a “PumpkinGrams” promotion, where fans can post about their pumpkin coffees and lattes on Twitter and Instagram, using #DDPumpkin and #Sweepstakes – qualifying them for chances to win digitally delivered Dunkin’ gift cards. Keep an eye out, everyone! Pumpkin menu items are being introduced over the next two weeks, and will be available nationally by August 31st. FALL IS COMING! 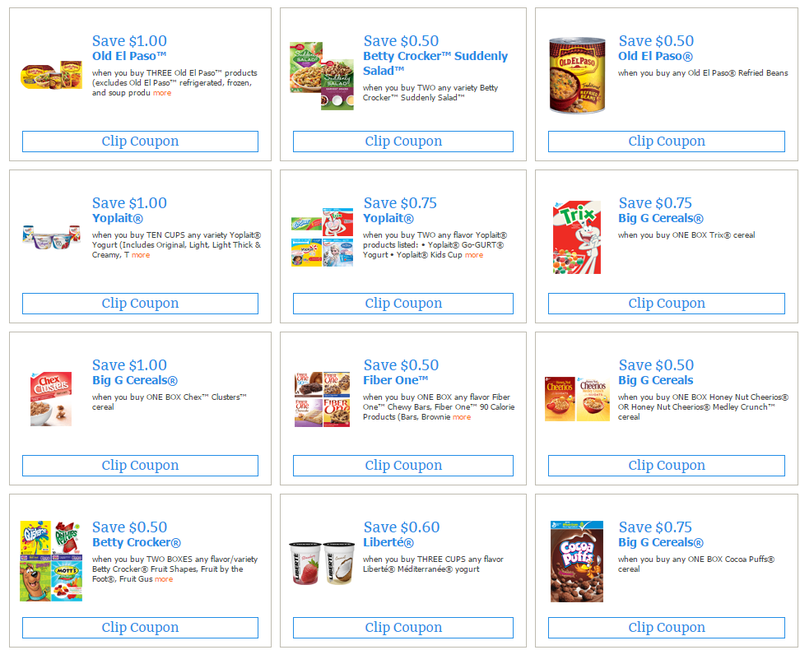 Members Only: Pillsbury Coupons, Samples, Sweepstakes and More! I’ve been hearing rumors about this for awhile, but just realized how legitimate it was once I signed up – and cannot recommend this enough! 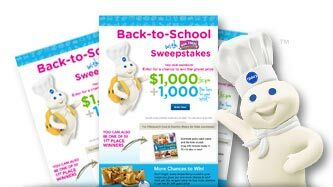 Pillsbury members get exclusive perks and benefits such as coupons, free samples, info on sales and contests, sweepstakes offers, a chance to win their popular calendar, and more. It’s free to join simply by signing up for their newsletter. By subscribing to their newsletter, you get first dibs on the month’s coupons. They claim that members save up to $250.year with new coupons that are added monthly. In their coupon selection you can ‘clip’ and print coupons, link your store cards, email coupons to yourself for later, or even see in-store savings listings. It’s pretty all-encompassing and extensive – if you can’t find products you don’t buy regularly discounted here, then I’d be totally shocked. Pillsbury members get free access to the latest and greatest prize offers. Sweepstakes updated often, so don’t forget to check back and enter each and every one of them! Everyone’s favorite. 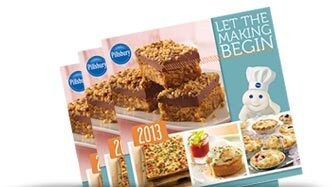 Pillsbury gives away a limited amount of free samples every month on a first-come first-serve basis (one per member). Newsletter subscribers are the first to know. In addition to this, Pillsbury rounds up tons of recipes on a yearly basis and makes them into a members-only calendar! They recommend hanging it up in your kitchen to have easy, quick recipes at your fingertips each month. Make sure you’re signed up to get a new one each fall – limited quantities! Give it a chance, everyone! Sign up here and let your fellow LiveCheap readers know how you do with it in the comments!